A Necklace Every Mom Will Love! 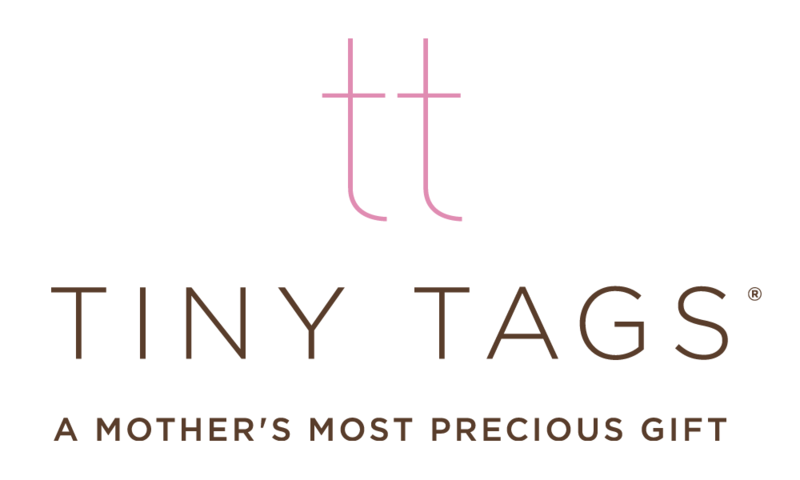 Tiny Tags is a company dedicated to celebrating children and the incredible journey of motherhood. From new moms beaming with pride and love over their new bundle of joy, to moms who are wearing their necklaces in remembrance of their little ones, or as a symbol of strength for those loved ones dealing with a personal struggle, tiny tags is the perfect gift. Available in 14k yellow gold, 14k rose gold and 14k white gold. Pendant is 1″ in diameter and hangs on 14k gold diamond cut chain that will match color of the pendant. All material is sterling silver, circles available in 1/2″ (8 characters max), 9/16″ (10 characters max) and 5/8″ (12 characters max). Hangs on sterling silver rolo chain. 14k gold bar necklace. Skinny bar is 1.5″ length x 3/16″ width. Available on a 14″, 16″, and 18″ 14k gold chain.